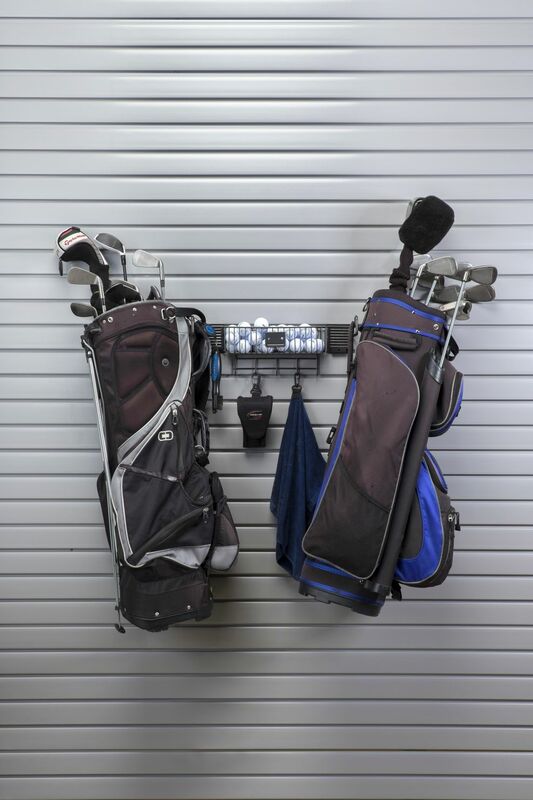 Arizona Garage and Closet Design offers two easy and efficient options for wall-mounted storage. 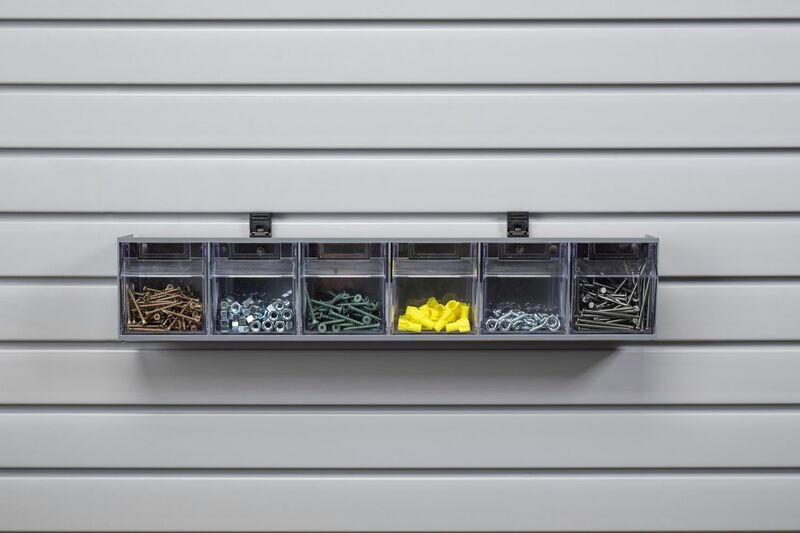 Garage cabinets are the first step to optimal garage organization. 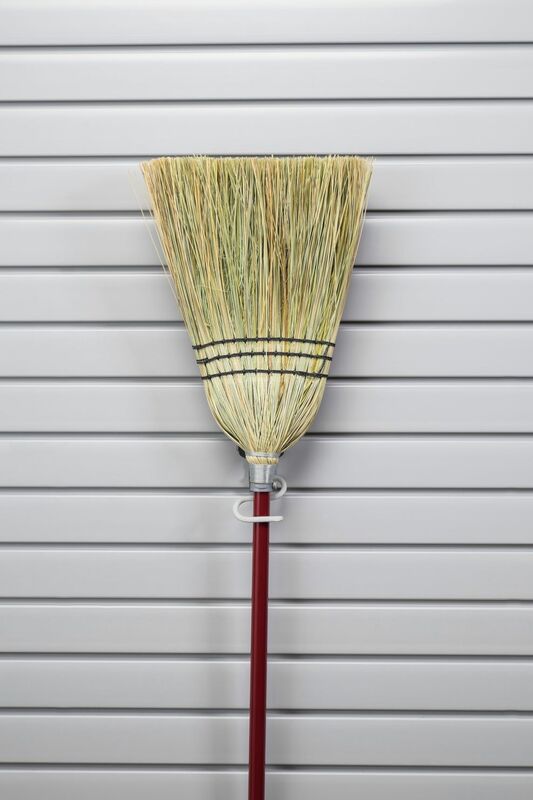 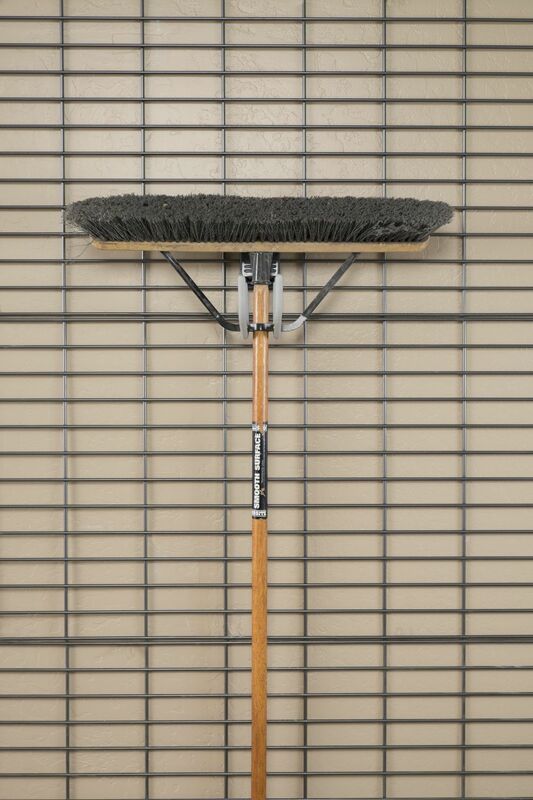 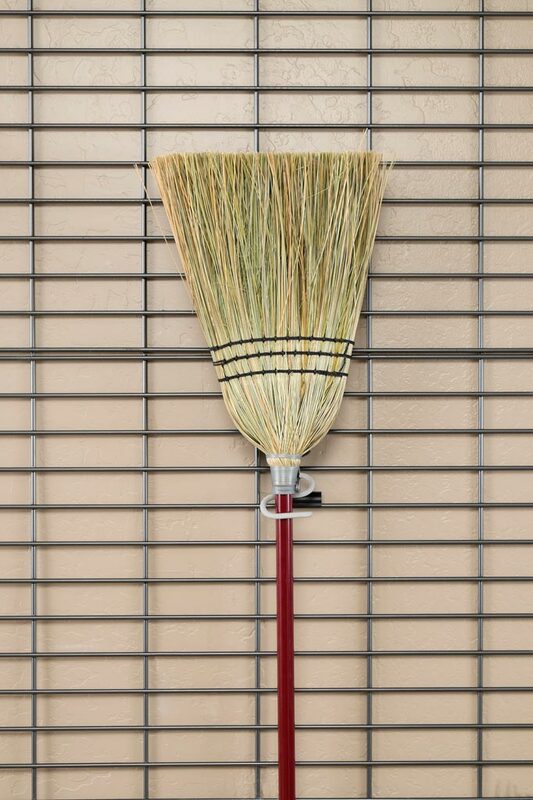 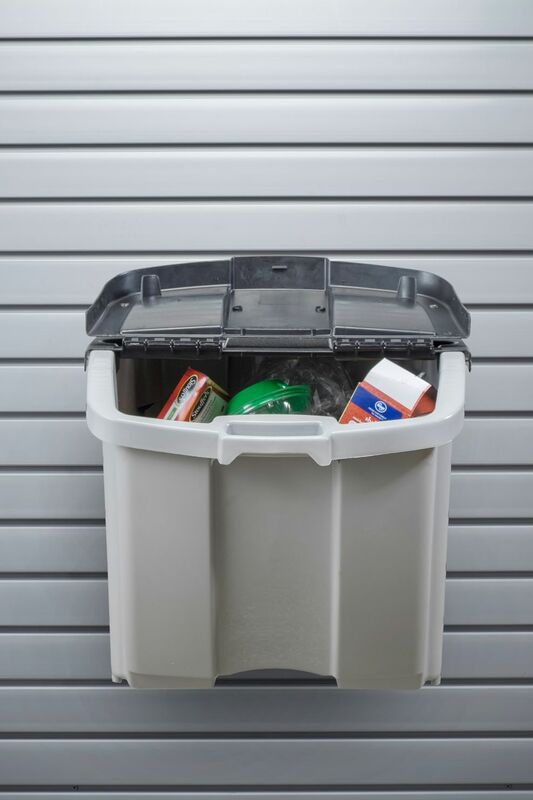 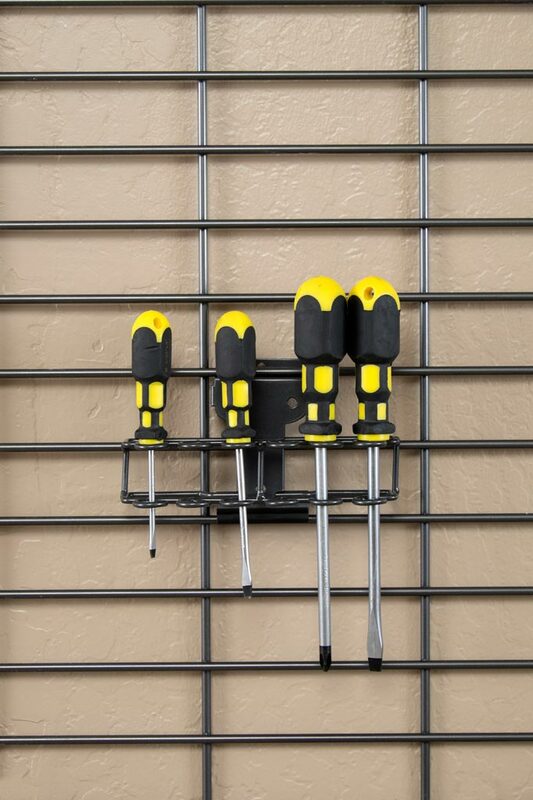 Check out our other garage storage and organization accessories. 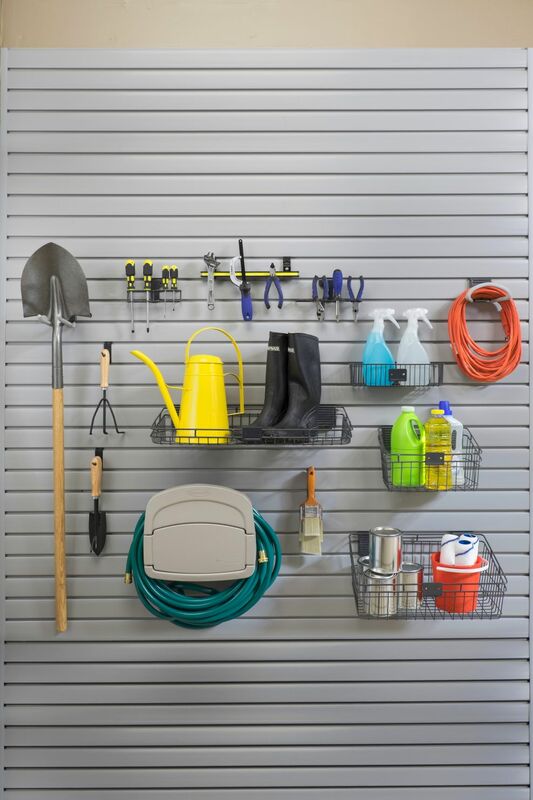 Customers often purchase garage accessories to allow for easy storing of bikes, sports gear, ladders, tools, and other outdoor gear. 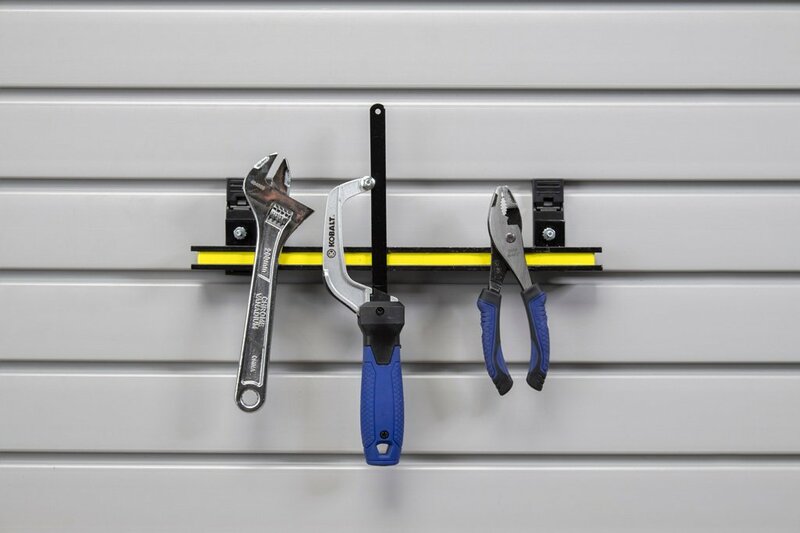 Let us install durable, PVC Slatwall Panels along your garage wall or above your workbench. 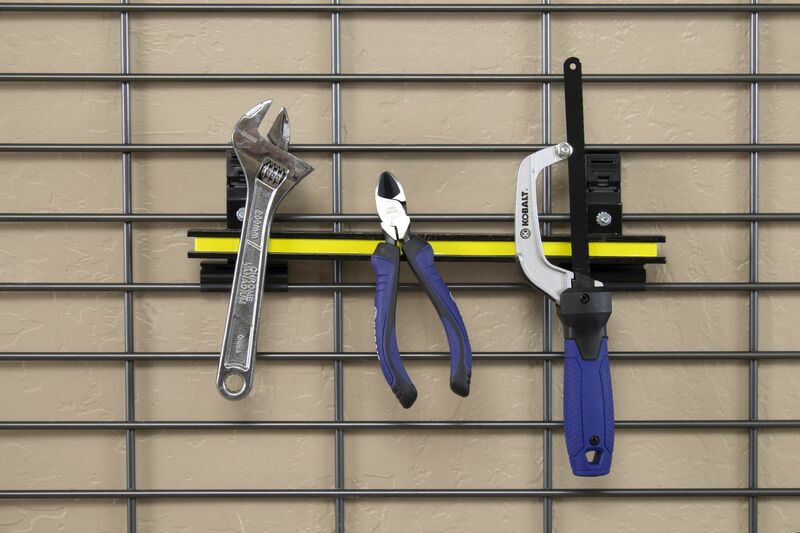 Our adjustable tool holders and organizers hook into the slatwall’s horizontal grooves so that you have clear access to everything you need. 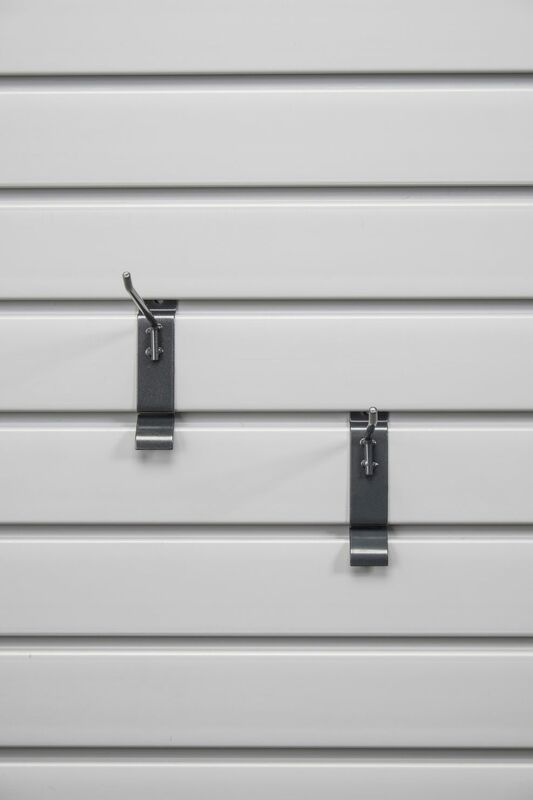 Slatwall is available in five colors, White, Black, Gray, Taupe and Maple. 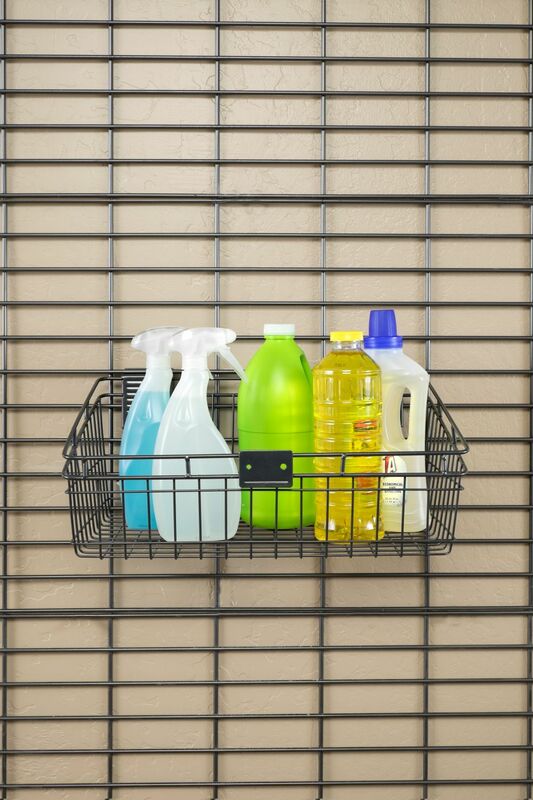 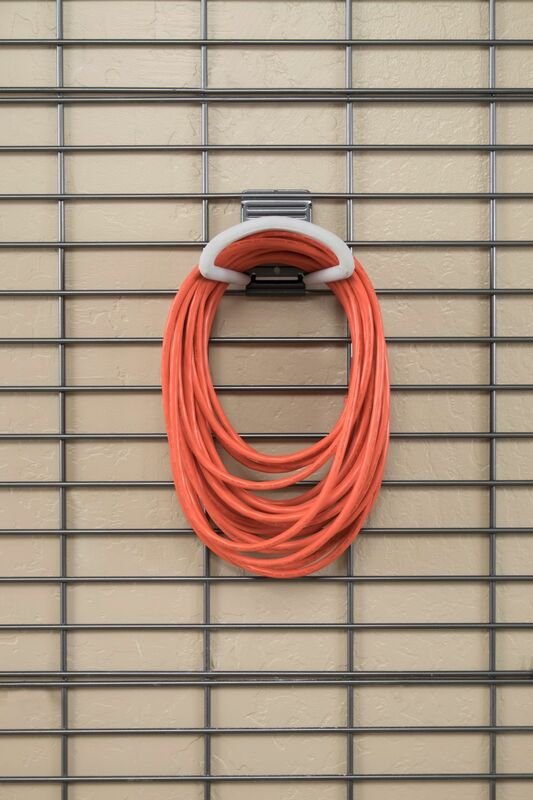 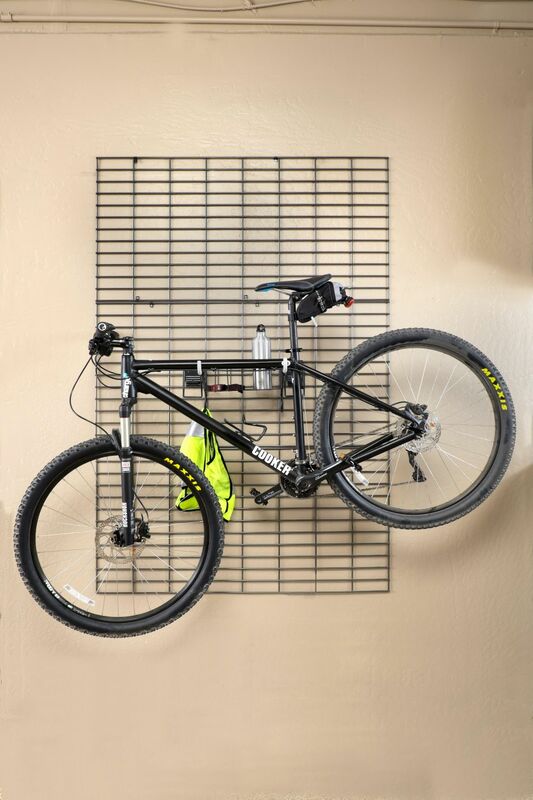 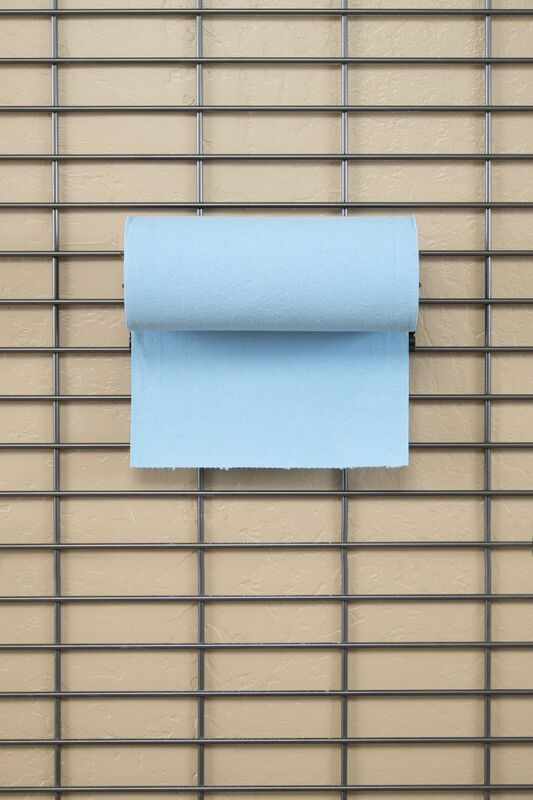 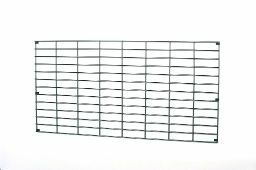 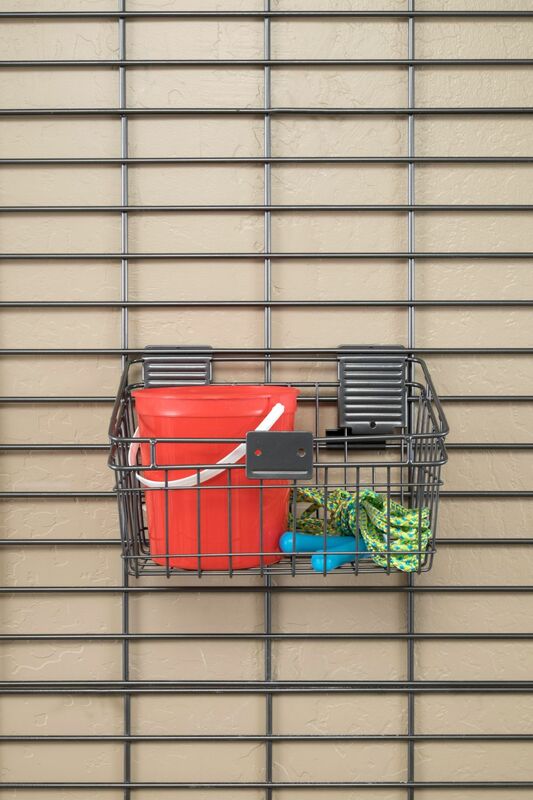 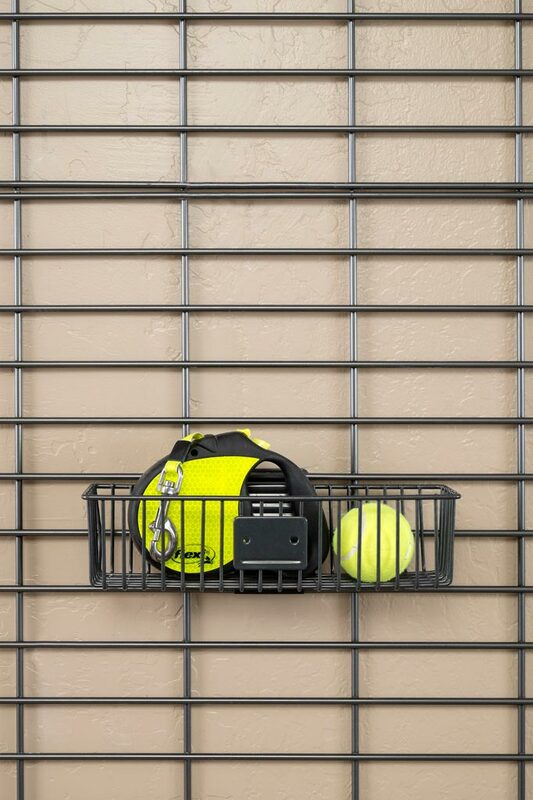 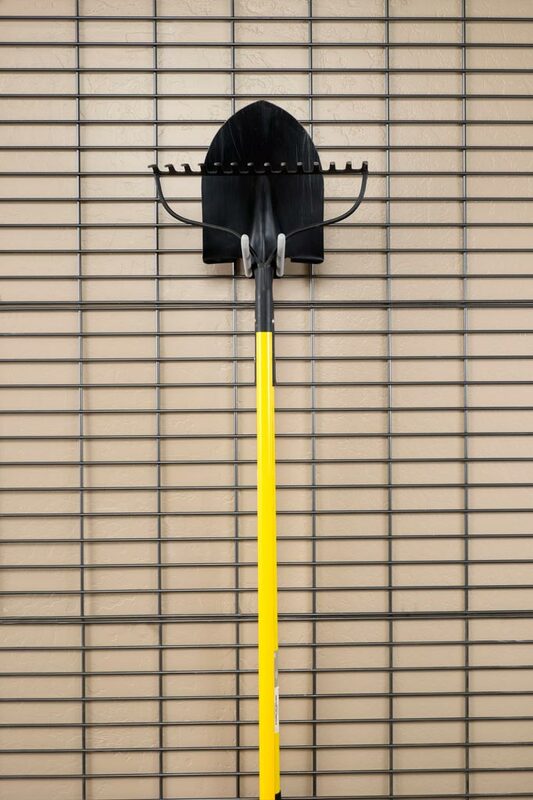 Powder coated steel gridwall can be mounted to any wall for quick and easy organization. 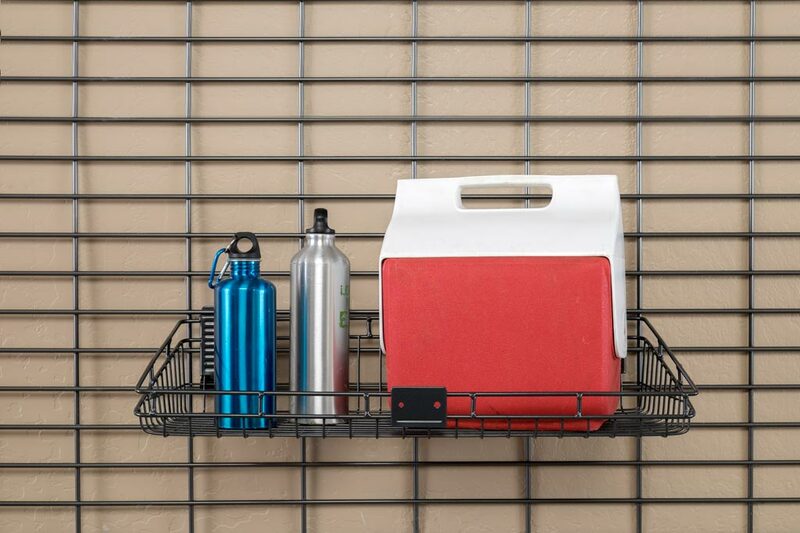 Like slatwall, attach any organization accessories to customize your layout. 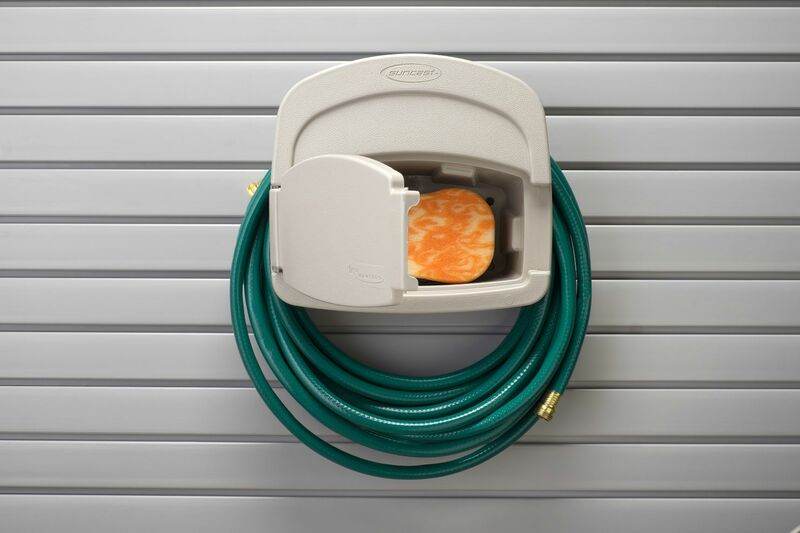 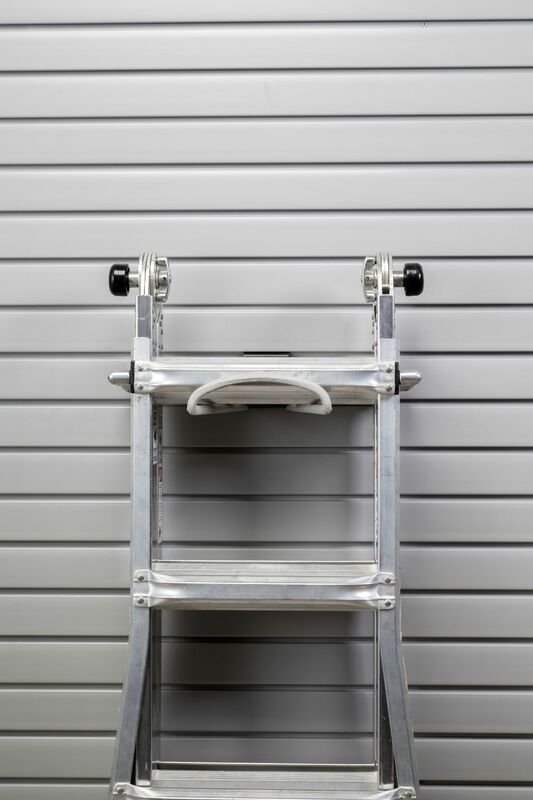 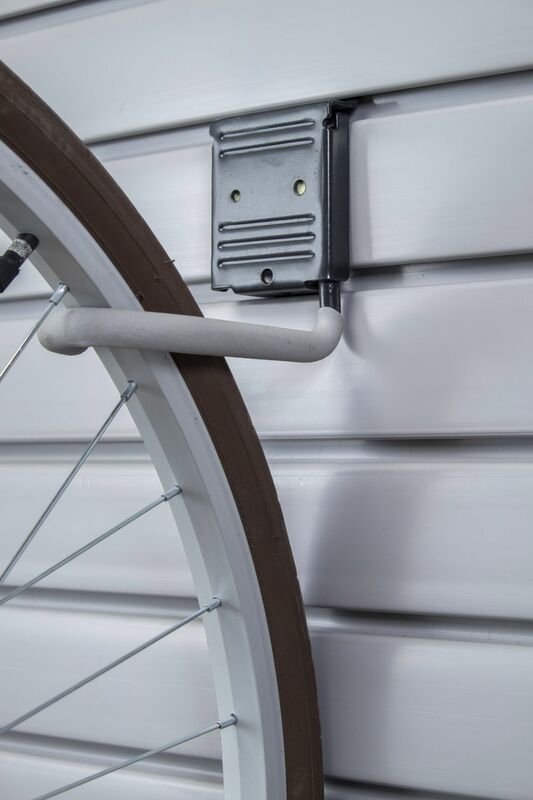 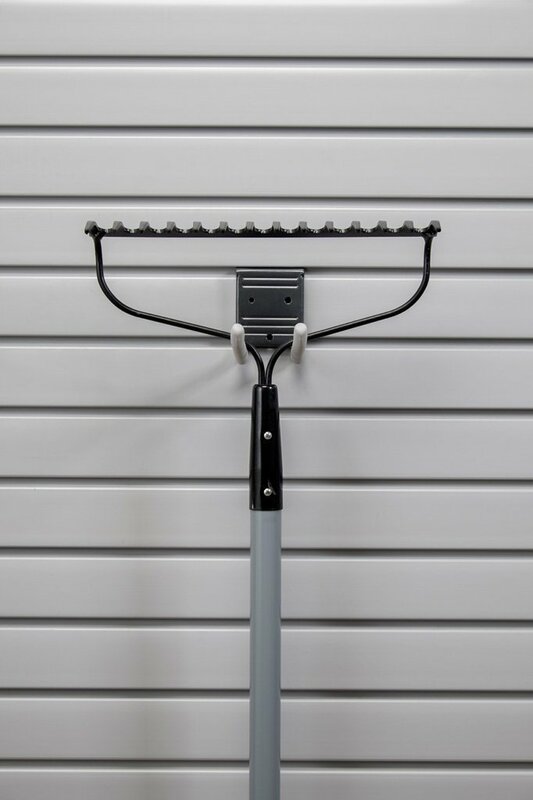 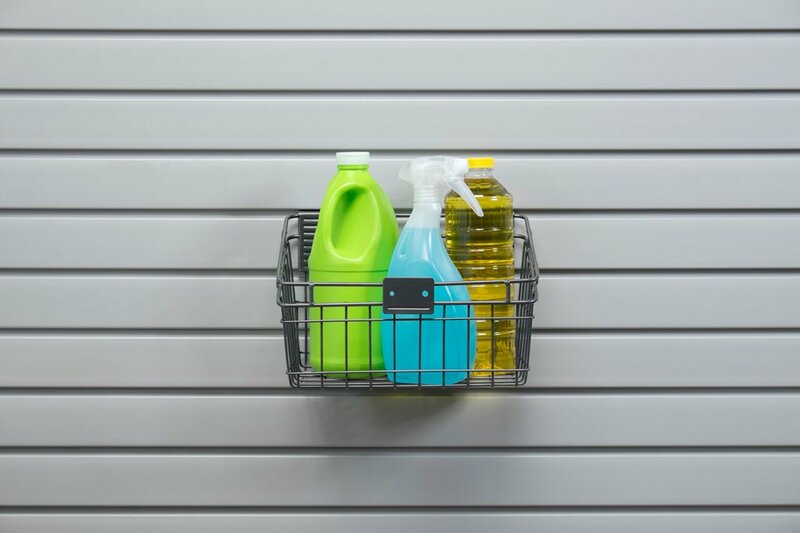 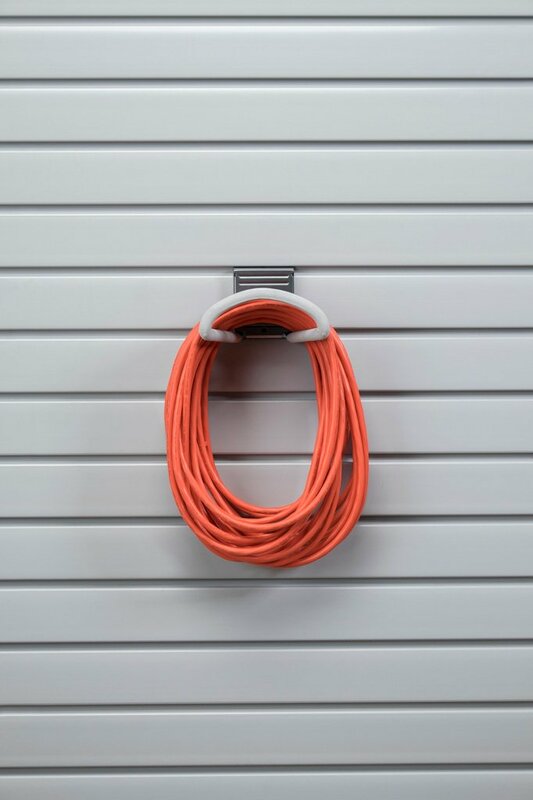 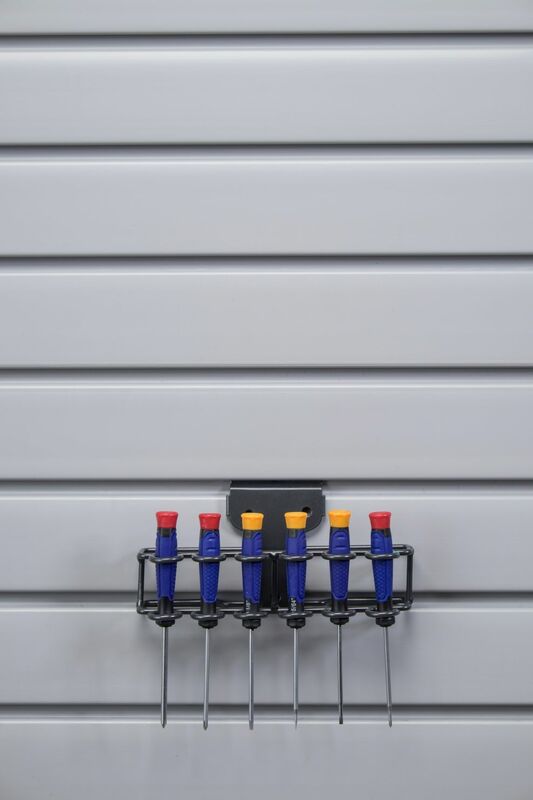 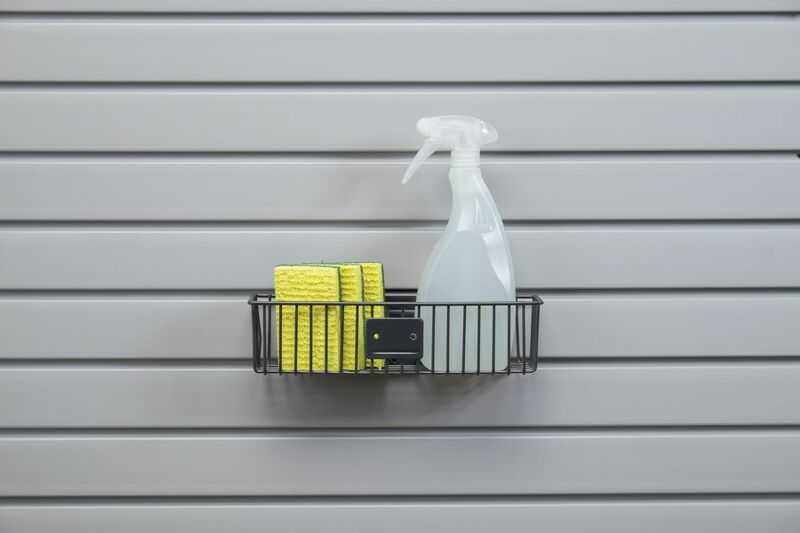 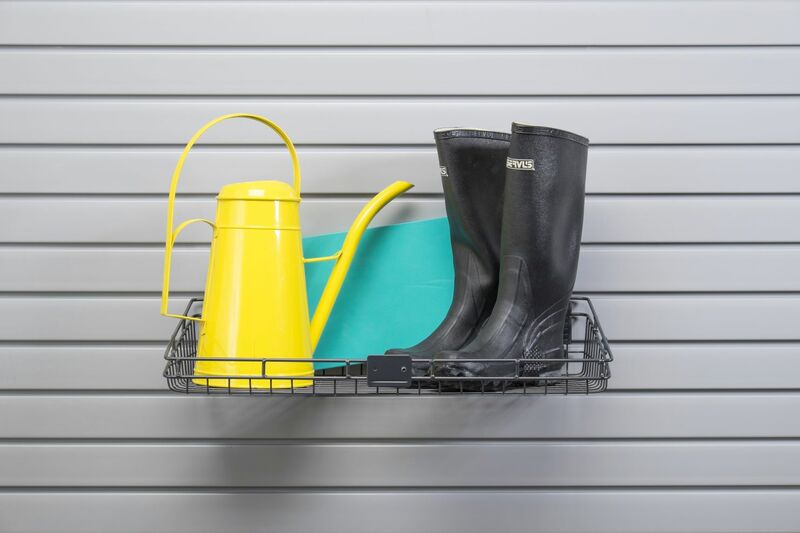 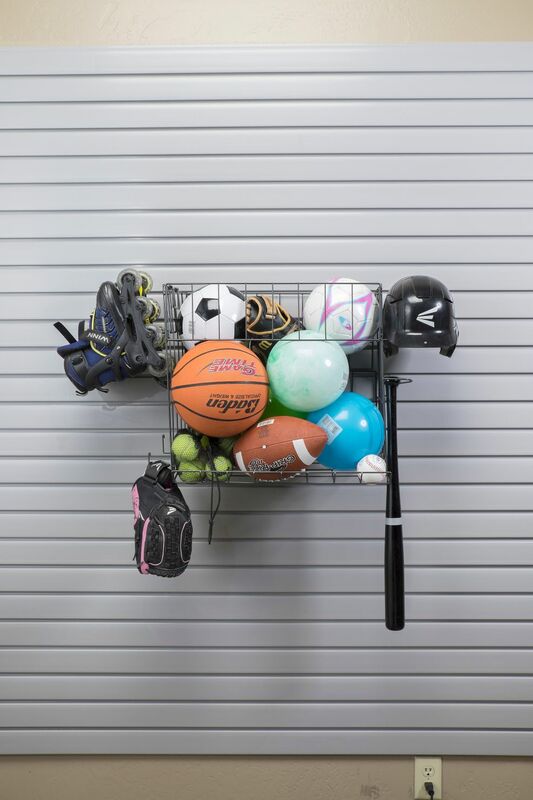 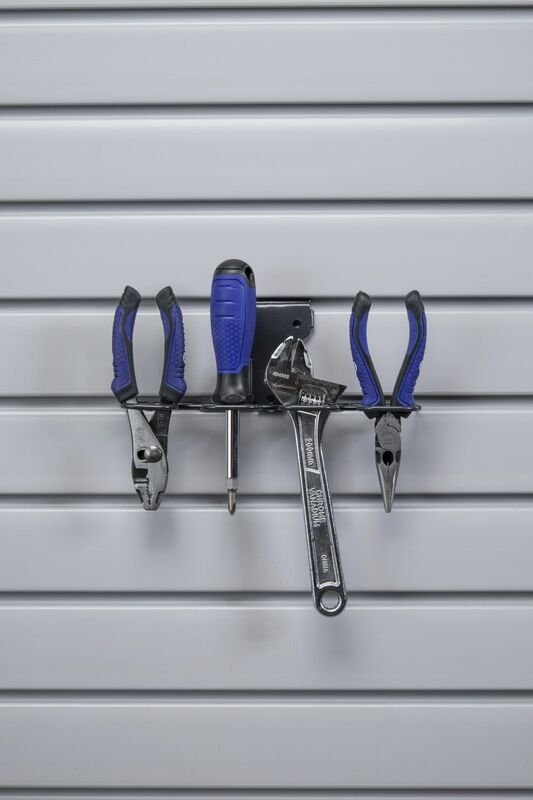 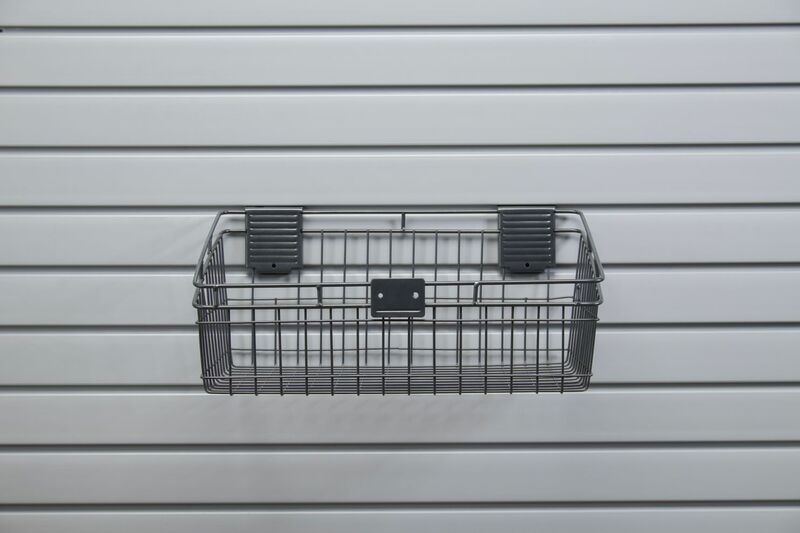 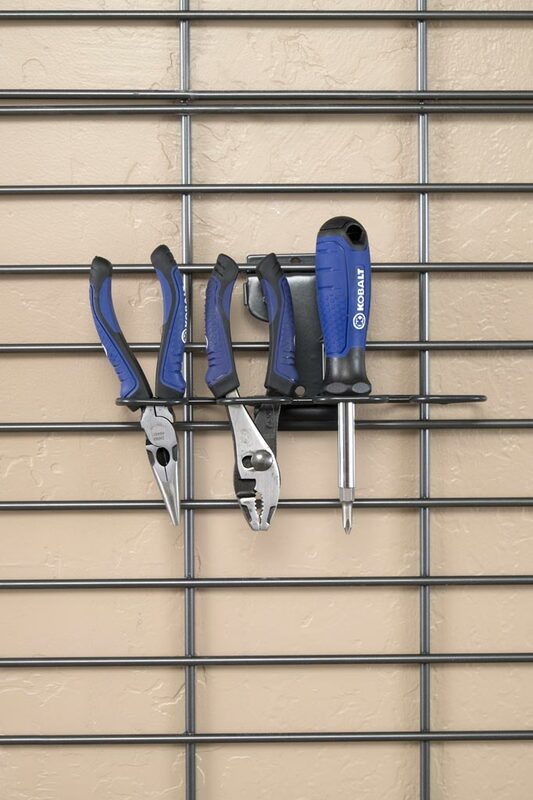 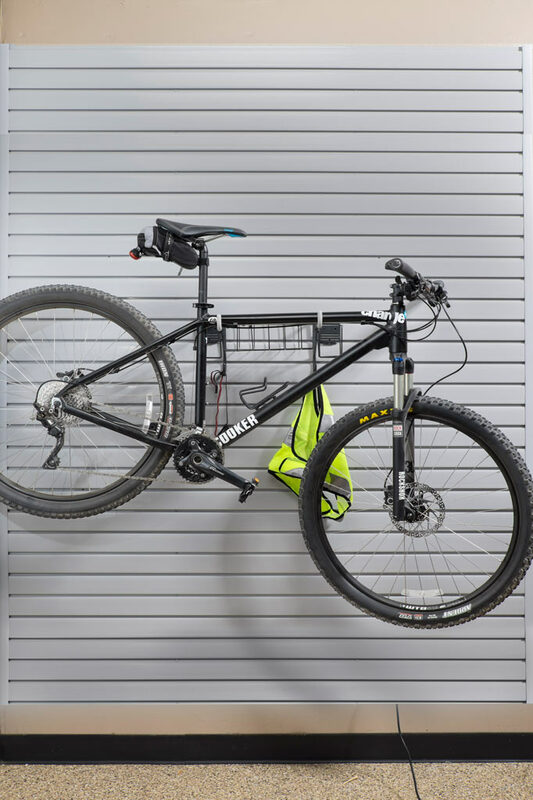 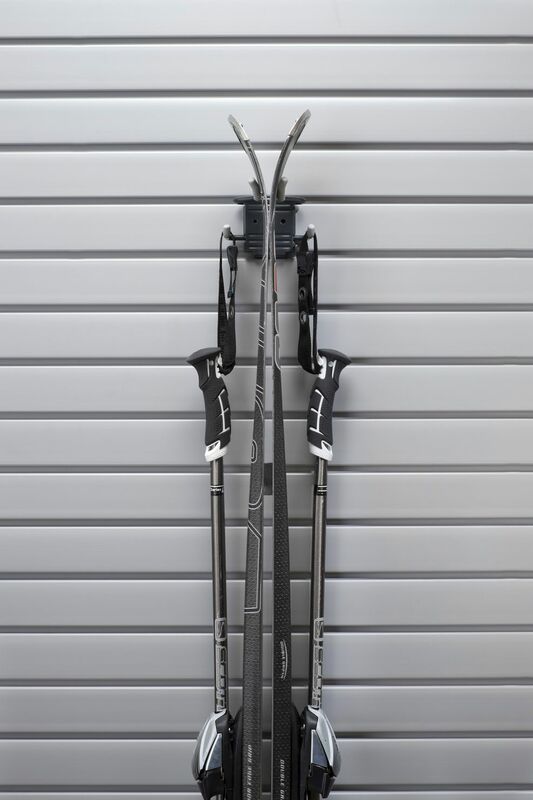 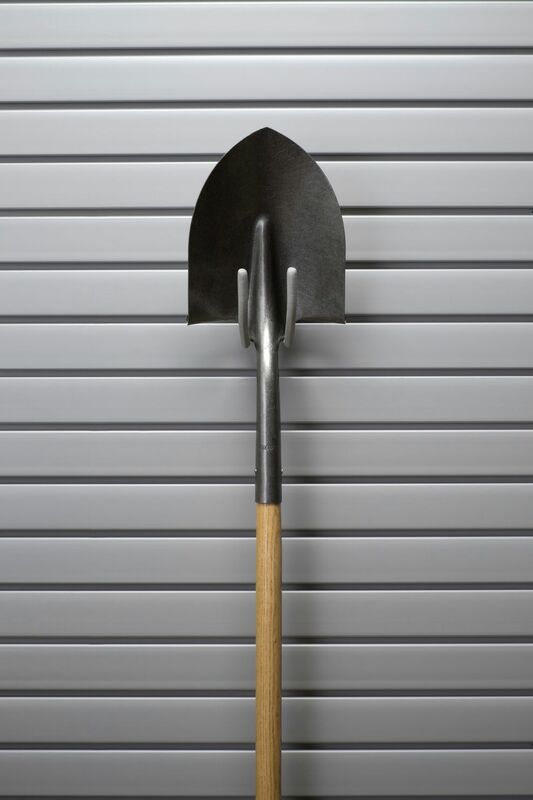 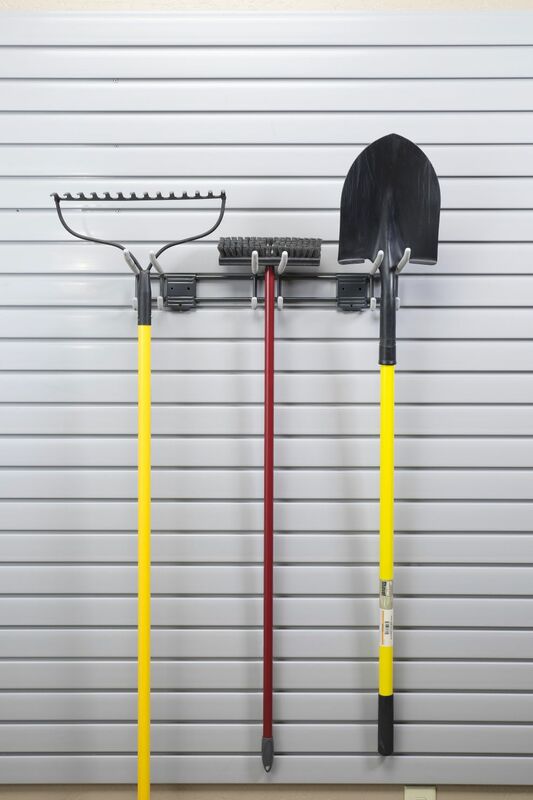 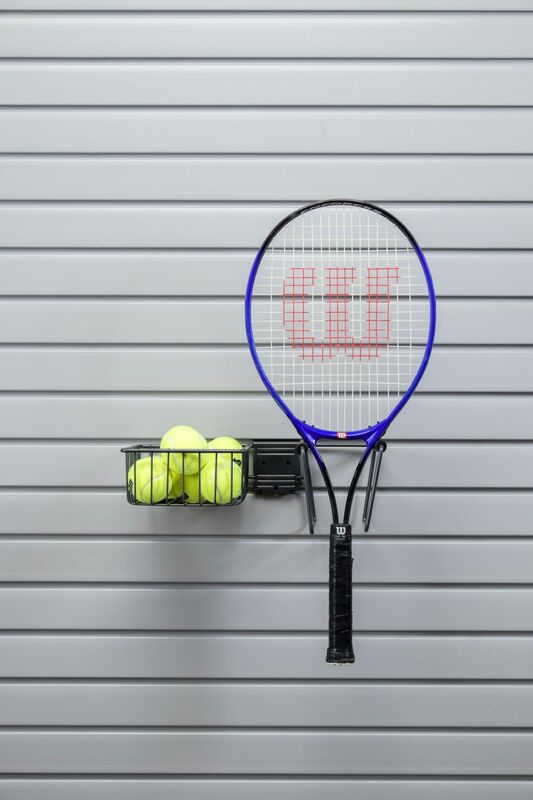 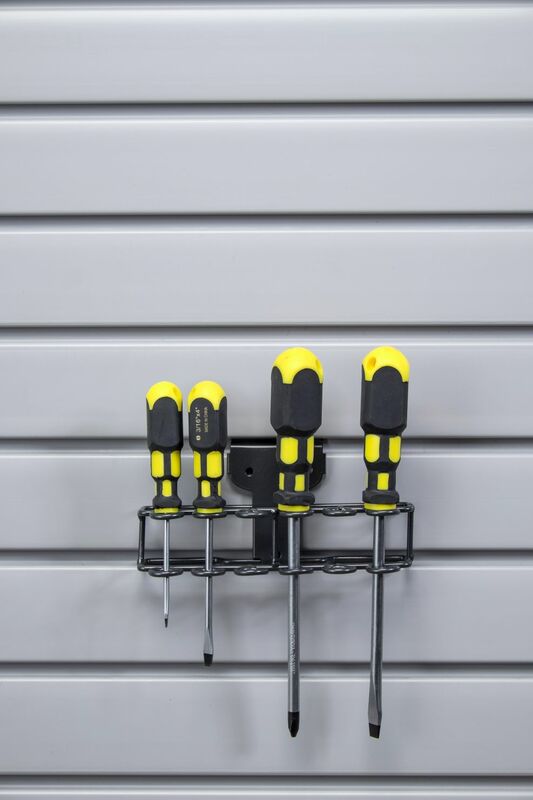 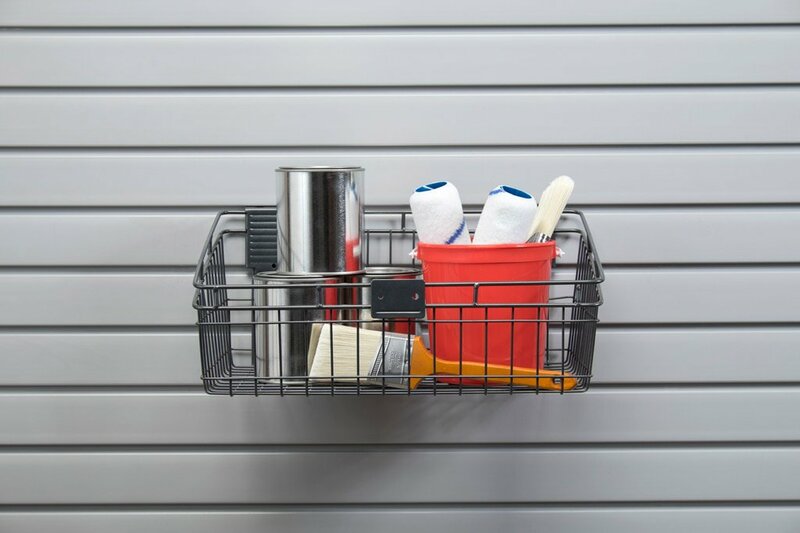 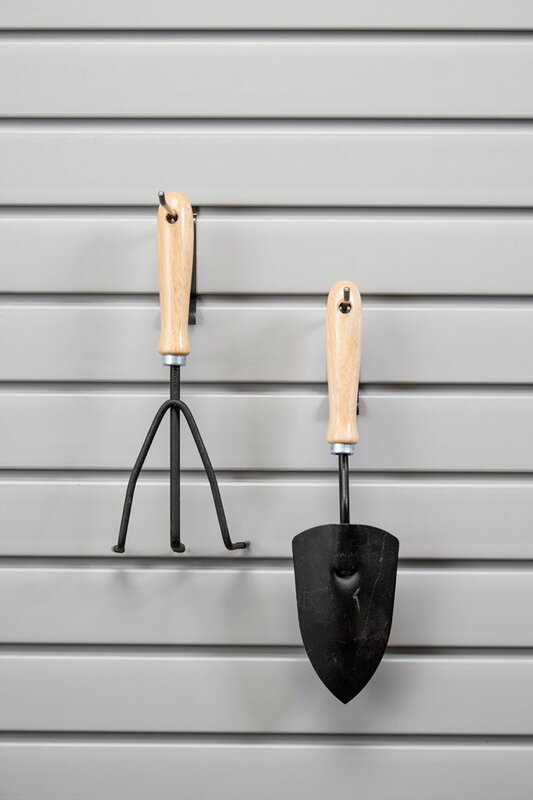 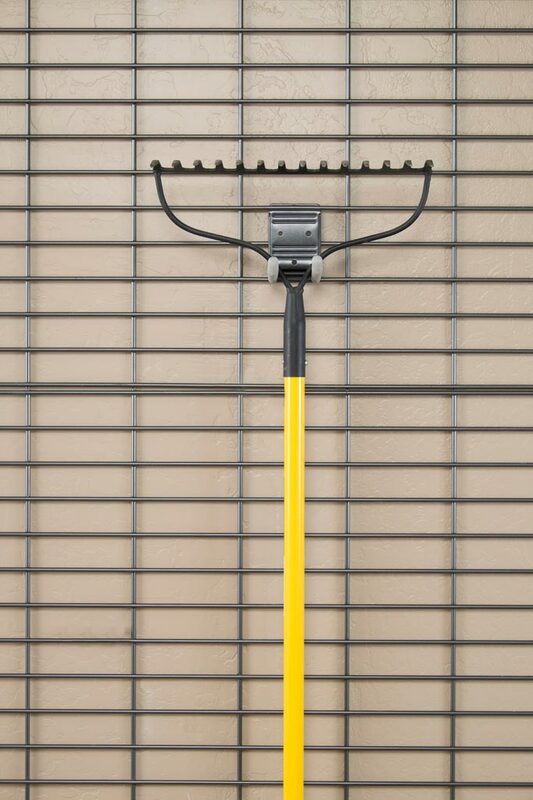 Our garage accessories are designed to snap onto either Gridwall or Slatwall, and are easily rearranged to make storing sports equipment to tools quick and easy. 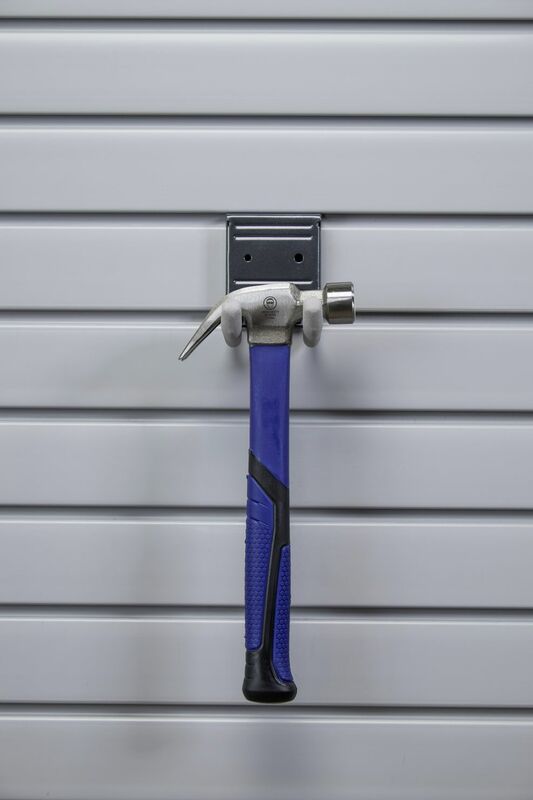 I just wanted to send you a note letting you know how pleased we were with the floor installation by Lawrence and George as well as the cabinet installation by Tucker and Caesar. 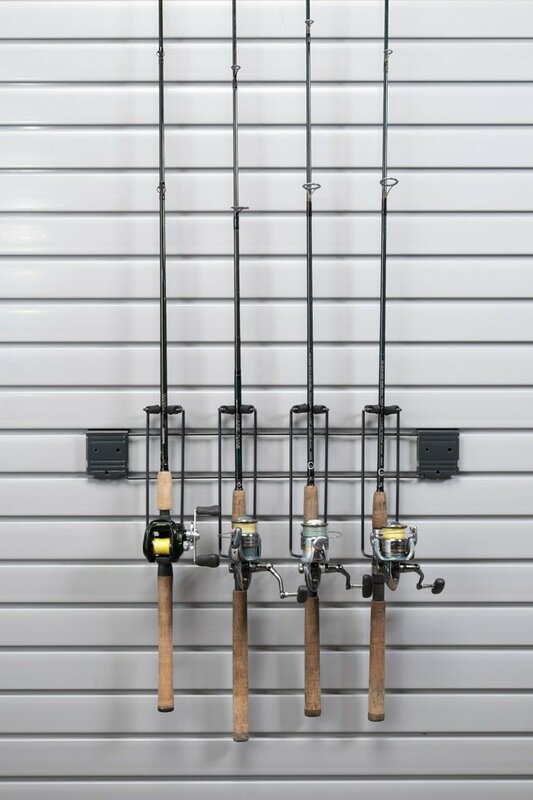 The quality of work, the friendliness of the service and our overall experience was just outstanding. 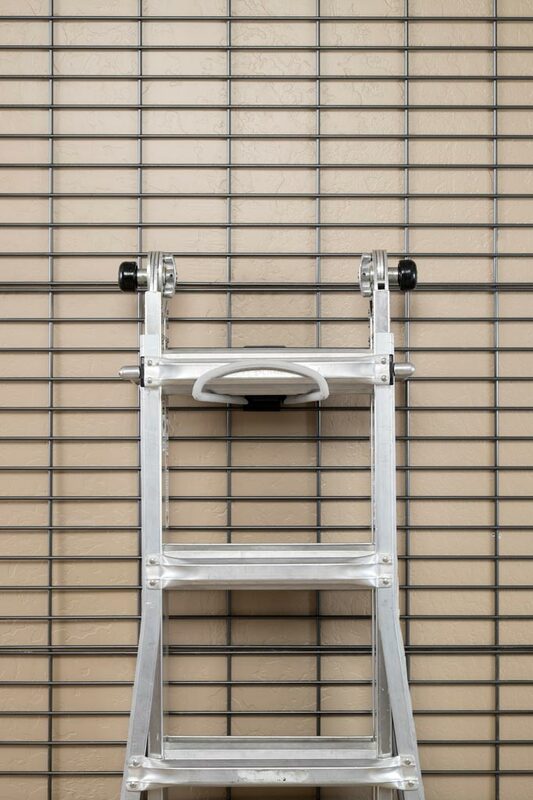 Everything exceeded our expectations. 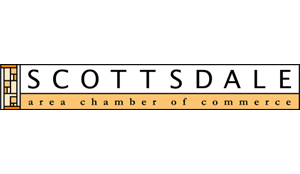 Thank you for your help in coordinating our work.